I like to build my designs around something meaningful to me. Thinking about a tradition, my travels or an experience gives me a way of focusing on the task at hand and also allows me to set some type of boundary to the project. I like to look to my experiences as inspiration, in the context of the tradition I am focusing on. It depends on what I am working on at the time. 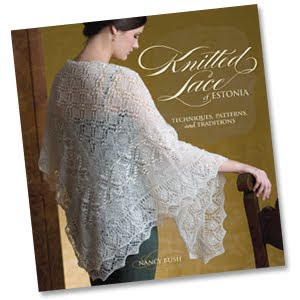 I think I am most interested in knitting lace at the moment. It has been a long time since I designed a sweater, but when I was, I usually made the sample in a medium size and went up or down from there. When I design socks, they are usually a ladies medium, sometimes a man’s medium. I have not done very many children’s garments. Sometimes, just to see what is happening outside my own little world. I don’t think it is a bad thing to be influenced by another’s work, as long at that influence is recognized. I am very inspired by traditional knitting, where the designer is usually anonymous. I believe patterns should be clearly written and well explained. I do most of my knitting myself. On a few occasions I have help from friends, to knit a second sock or another version of a shawl and to test the patterns. No. I started working in the fiber world in my 20’s and it just evolved. I didn’t have a plan at all. In terms of a mentor being a trusted advisor, certainly. I have a number of close friends that I can call on for advice, can consult with and get help with solidifying my thoughts. 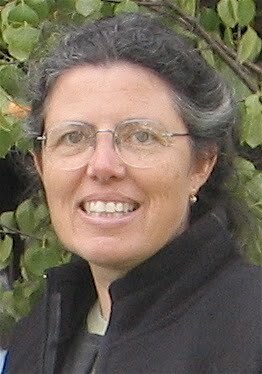 One such friend is Jeane Hutchins, the editor at PieceWork Magazine. She has been a great help to me, not only for my work with PieceWork, but my work in general. Probably more than I realize. I don’t have much time to spend with Internet searches. I hear about groups who are knitting all the socks in Knitting on the Road, for instance and it makes me so happy that folks like my work, but I can’t follow it all, or I wouldn’t get the designs and articles done that they are enjoying. Absolutely! I am fortunate to work with the tech editors at Interweave Press for most of my designing and they are fabulous. I think a tech editor is a necessary part of the designing process. This is very hard to do, for me. I try to take time away from work, but the work is always there. I am trying to step away more, to walk the dog more, but sometimes work just takes over. Try to learn from it and to find a way to use it in a positive way. I started out running a yarn store (in 1980) and it seemed like a long time before I could say I was ‘supporting’ myself with it. It was only when I started teaching and designing as well, that I felt I was truly able to support myself.. I have always believed that in order to know something well, ones needs to look to its history. This is true for knitting. I would advise anyone thinking to pursue a career in knitting to learn as much a possible about the traditions the the ‘tried and true’ techniques that have been part of those traditions. Thank you for these insights into this talented designer. These interviews are wonderful, Robin! I learn something new from each of them; you are doing a great service to knitters everywhere by asking the right questions and getting back such thoughtful replies! Thanks for posting this! I'm a big fan of her work and this only makes me like her more.